Karl Harker spoke to the Auburn Rotary Club about his job as a meteorologist with the AWIS Weather Service. Karl became intrigued with weather as a small child in Indiana. He later studied the field in college and accepted a job in Auburn working for the National Weather Service over 30 years ago. As the field change, and funding went away, Karl and several colleagues began their own private weather service that subscribers like the City of Auburn’s Parks and Recreation department and many farmers and Agricultural companies rely on for accurate weather data. 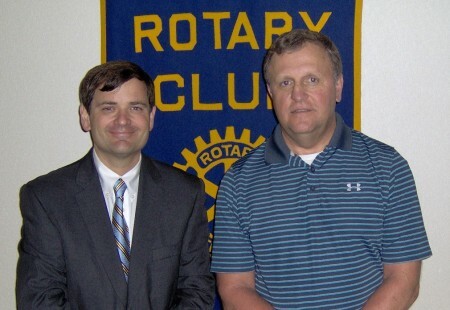 Mr. Harker is pictured with Auburn Rotary President David Reaves.